Today’s brick and mortar retailers must tackle myriad challenges in an era of industry transformation, increased customer expectations and a highly-competitive landscape. 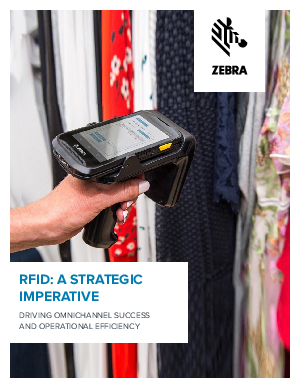 The vast majority are facing these hurdles head-on, with particularly dogged efforts toward reaching omnichannel excellence: For example, according to Zebra Technologies’ 2017 Retail Vision Study, 90% of retailers plan to have an omnichannel practice in place by 2021, through options such as Buy Online, Pick Up in Store (BOPIS) or Click & Collect. It has become clear, however, that for these omnichannel efforts to succeed, inventory visibility and accuracy (ideally 90% or more, according to the Retail Vision Study) is more important than ever — to provide consumers with the easiest path to purchase and retailers with the most efficient way to fulfill. Accurate inventory is the foundation upon which all the other pillars of retail can be built, so retailers can react quickly and make smart decisions about their business, enabling growth and sales.